Patience wears thin as the school year draws closer to the end. Luckily, there is always more yarn to be found! (In fact, I came across another 2 Rubbermaid containers full of yarn at my parents' this weekend.) I made a stress yarn purchase last week, along with the most adorable buttons! 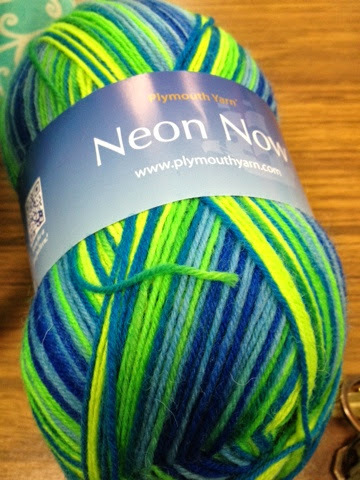 With my new yarn, I'm thinking of a new scarf... honestly, I'm always thinking of new scarves. Even in the summer, I love the light accessories. The FOs I posted last week will probably become my staple style of scarves for the summer. The yarn is perfect too. 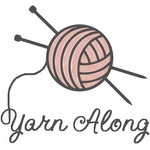 Sock yarn is great for lightweight scarves. My current WIP is another infinity scarf, this time in the Tiki colorway of Felici. The striping is not as clean in this colorway, which is a bit disappointing, and less vibrant overall than Fizz (my previous 2 scarves). I really liked it when I saw it online, but I'm less thrilled about it now. This will definitely be a scarf that I have my artist sister coordinate outfits for. I'm planning, when there is finally extra time (if that ever happens), to write out an alternative to my current pattern, in hopes of making it more dense. I'd like to be able to use it with different yarns, but right now, it's really just an angled mesh. Dinos or turtles with the hand-dyed yarn? Before I bore everyone, I should direct you to Tami's and Ginny's for the Wednesday link-ups! I think the turtles would look nice. Lpve the yarns and the buttons. Nothing wrong with having a slight scarf obsession, you're amongst friends here! Love the yarn color. I would have to vote turtle. 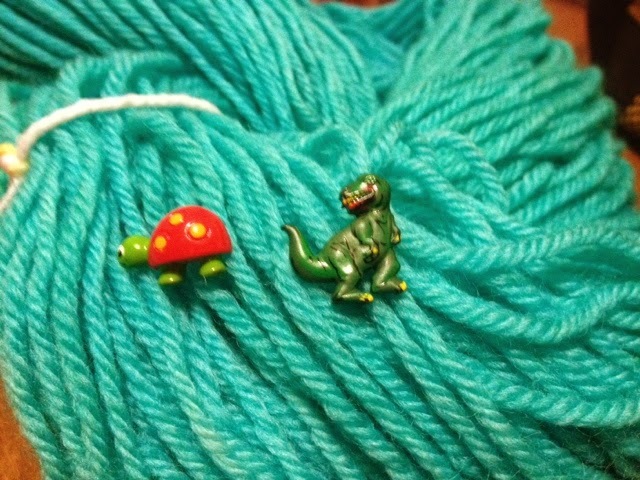 I think the shell really pops against the yarn. Look forward to seeing the end product! The turtle really pops, so that's what I would go with. 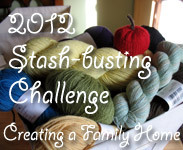 very cute; lovely yarn; sorry you are stressed; you have a lot of changes to adjust to, it takes time! God bless and give you peace!!! I just dyed some kool-aid yarn, while it didn't turn out like I had envisioned I like it. Thanks for dropping by my random thoughts today. Just wanted to let you know the WWII book is an actual journal that was kept at the end of the war. Definitely worth a read!